This title will be auto-delivered to your Kindle on 5 March 2020. 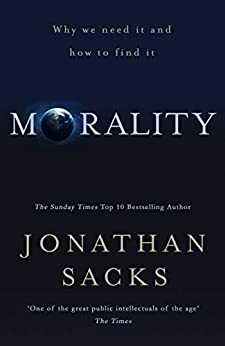 In today's world of cultural climate change, argues Jonathan Sacks, we have outsourced morality to the markets on the one hand, and to government on the other. If the market rewards it, it must be OK - unless the law says not to. Yet while the markets have brought wealth to many and the state has done much to contain the worst excesses of inequality, neither is capable of bearing the moral weight of showing us how to live. On the one hand, traditional values no longer hold, yet recent political swings show that modern ideals of tolerance have left many feeling rudderless and adrift. In this environment we see things fall apart in unexpected ways - toxic public discourse that makes true societal progress almost unattainable; the rise of religious extremism on the one hand and of aggressive atheism on the other; a drive for respect of all that establishes 'safe space' only where true debate is off limits. How can we build - or rebuild - a collective culture that is able to both respect difference and draw us together to work for the common good? Talking to key modern influences and thinkers - including Jordan Peterson, Melinda Gates and David Brooks - and drawing inspiration from the Bible and the historical experience of the Jewish people, Sacks argues that there are eight key factors in establishing, maintaining and passing on resilient moral values within a broad group, among them attitudes of lifelong learning and of thanksgiving, the importance of family life and community, and a culture of positive argument in place of destructive conflict. Combining his passionate belief in a positive way forward with a careful weighing of the realities and challenges of the position in which we find ourselves, Jonathan Sacks sets out a clear picture of a world in which we can all find our place and build a future worth working for. 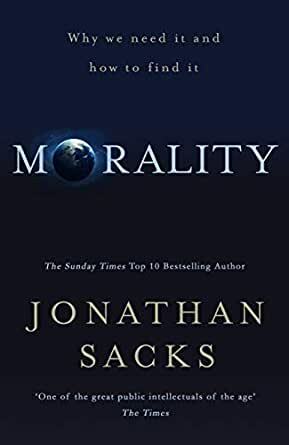 Internationally acclaimed thought-leader Jonathan Sacks demonstrates how we can build a strong collective morality for the modern era.